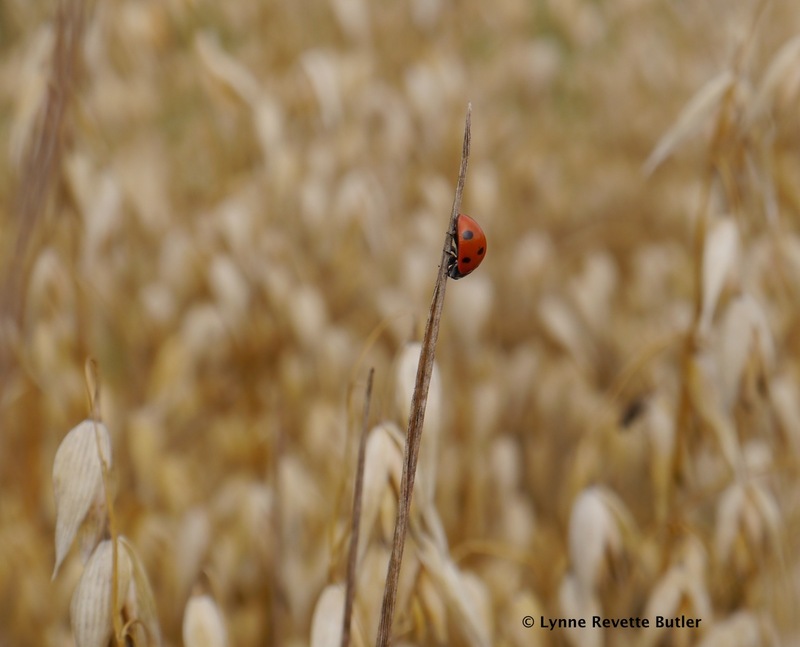 This entry was posted in Environment, lifestyle and tagged chilterns, ladybirds, oats. Bookmark the permalink. Lovely pictures Lynne, we haven’t seen many in North Devon either. A little worrying, but few aphids as well, glad to see you have found a colony! We had an influx of aphids on the roses during the hot, dry spell but something rapidly devoured them. I have seen enough native ladybirds now to not be worried about the local population because I have not seen a single harlequin all summer. If the house window frames fill up with 7-spots again this winter (very few last year after the horrendous wet weather) I shall take it as a good sign that they are rallying. 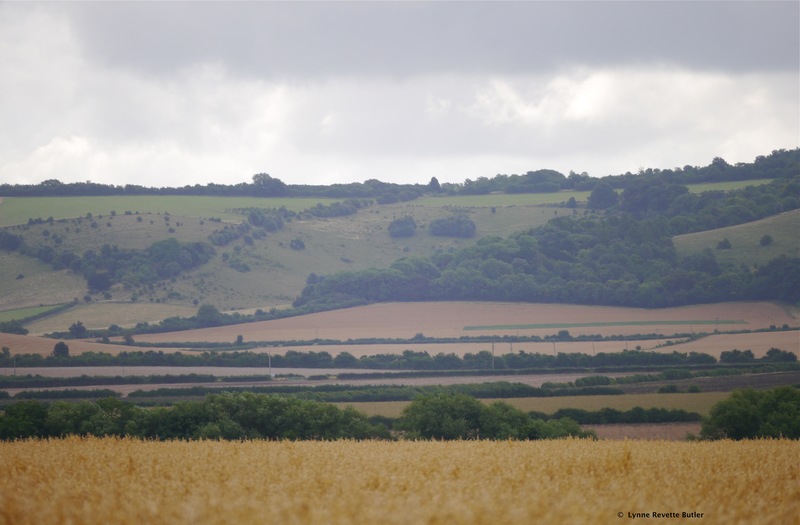 I have just read a lovely post about Cliffe Garden on “The Blackberry Garden” but, as regularly happens, I could not leave a comment on this blogger site in spite of trying different ways of leaving my name and URL. Beautiful photos, Lynne! 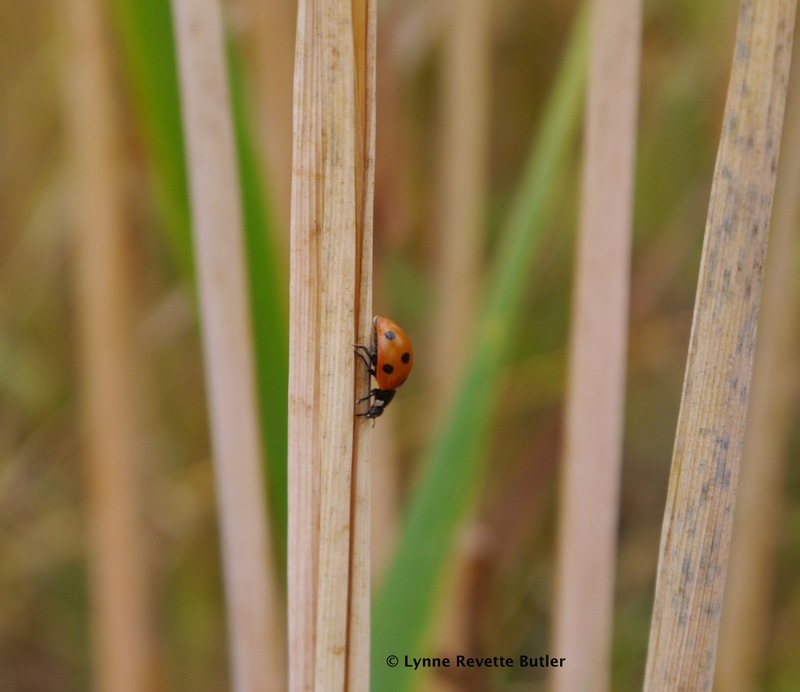 There’s just something special about a ladybug. Thanks Jill. I agree about them being special; I think in my case watching them takes me back to ladybird spotting on sunny childhood days when we wrote down the date and how many we saw in our “I-Spy” books. 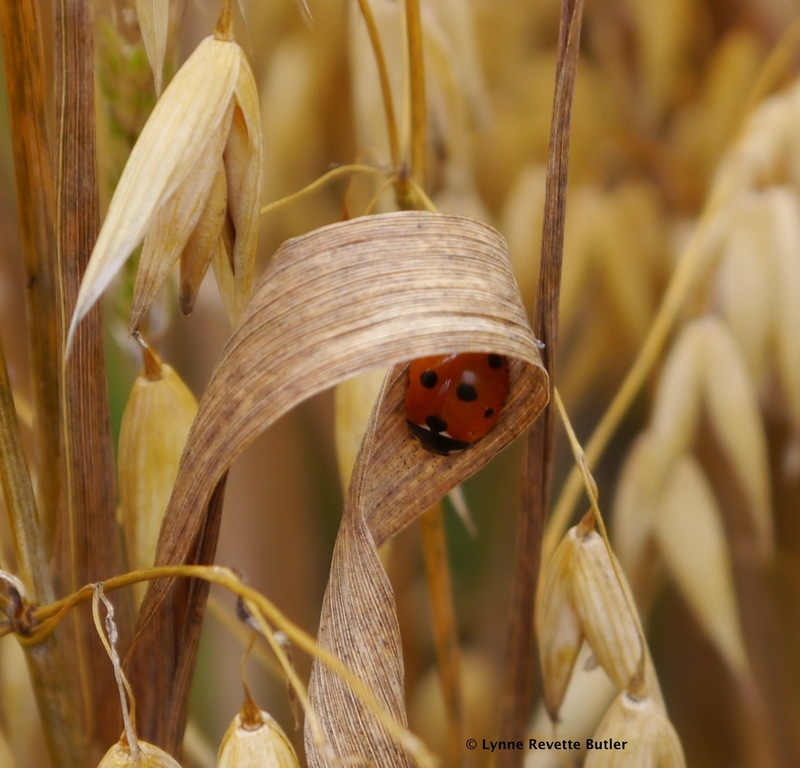 Thx for the lovely reminder about the importance of the smallest creatures in our gardens! 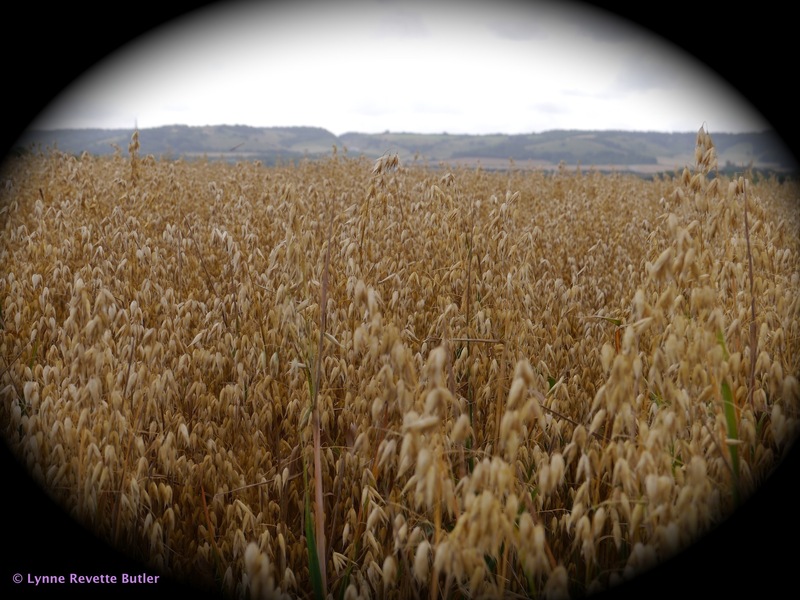 Since I took those photographs I have also seen a good number on the edge of a local linseed crop (footpath on side of field under trees this time) so I am hoping more will appear in the garden soon. Thanks for visiting my blog. Glad you like the photos. PN’s description of your blog was beautiful and I’m looking forward to visiting it later today. I hope to get round all the PN Award winners soon. 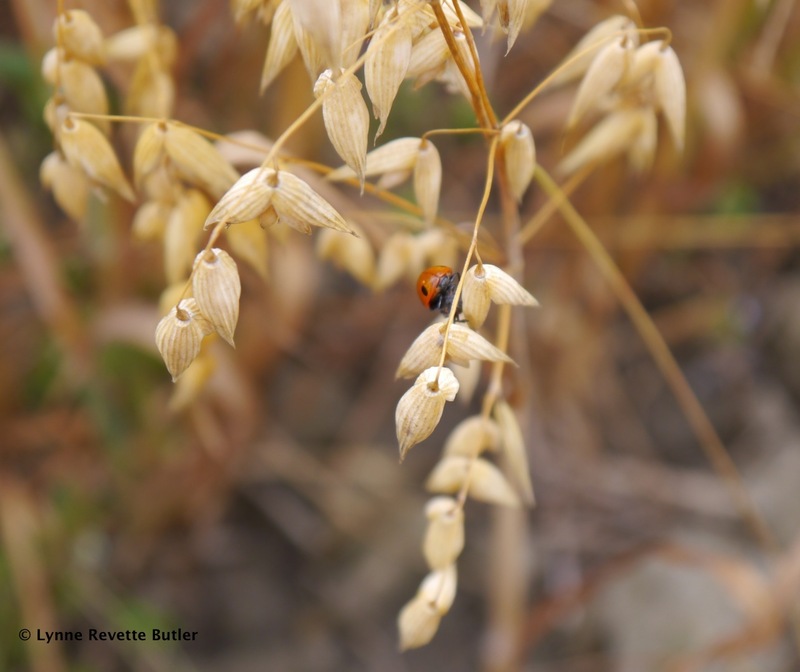 Your exquisite shots of the oats and ladybug caused me to stop and remember fondly of my chldhood and running freely through tall harvests of wheat and oat crops. I hadn’t thought about it, but I haven’t seen a single lady bug in my garden this entire season. There’s something wrong. I’m so glad those photographs have awakened good childhood memories for you. I am hopeful that our ladybird numbers will pick up again as I have seen more recently than I did in early summer and, most importantly, none of them were the ghastly harlequins which were introduced to England fairly recently and compete with the natives.